A top prosecutor has demanded Hillary Clinton be investigated for colluding with Ukraine in her bid to win the White House in 2016. In an interview with The Hill, Ukrainian Prosecutor General Yurii Lutsenko said he has found evidence of a top law enforcement official saying his agency leaked the Manafort financial records to help Clinton’s campaign. 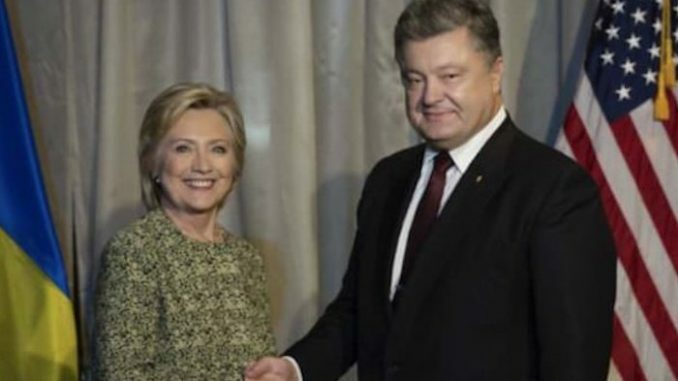 Thegatewaypundit.com reports: The Ukrainians were actively colluding with the Clinton Campaign in the 2016 US election and Lutsenko has proof.